When you’re pregnant, you suddenly discover a whole new world of shopping that consists of baby related products. This may be a very new area to you and it can be overwhelming. 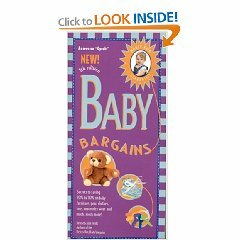 If you’re anything like me, you will probably want to research categories and types of products before your baby arrives, so that you can decide what you need, what you want, and what is just unnecessary. Of course, every situation is different and that is why there are tons and tons of products on the market. 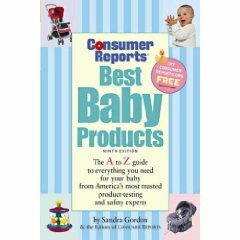 A couple of books that I found helpful in my research, were: Baby Bargains by Denise Fields and the Consumer Reports Best Baby Products. New editions of these books are printed every year or two, to ensure that you get the latest information. These really helped me to make decisions for some of the larger purchases. Reading through these books educated me on what is out there and helped me focus to what features to look for in particular products. Another very helpful tool was reading through people’s product reviews on Amazon.com. Although I think dissatisfied customers are more likely to want to complain and write bad reviews, there are many helpful reviewers out there. All that said, it’s a good idea to actually go to a store and see some of these products, play with them and decide if they are right for you.